If the pharos had access to sweet gadgets like the iPhone, they definitely would have put them in docks shaped like a pyramid. They also would have probably carved mythical beasts into their walls with the face of Steve Jobs and the body of a cat to protect their gadgets. 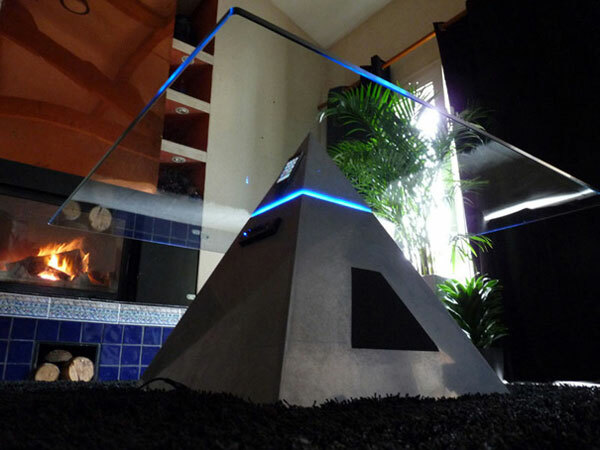 If you like pyramids or are just a big fan of Stargate, the iTut concept iPod dock is the device for you. The dock appears to be a coffee table and has a dual speaker system under the top of the pyramid and glass. The docked iPod can play music through these speakers and there is a series of LED lights that lets you change the color of the glow in the glass. The downside is if you had this thing in your house, people might think you were a new age hippy. If you are a new age hippy, that is a bonus.